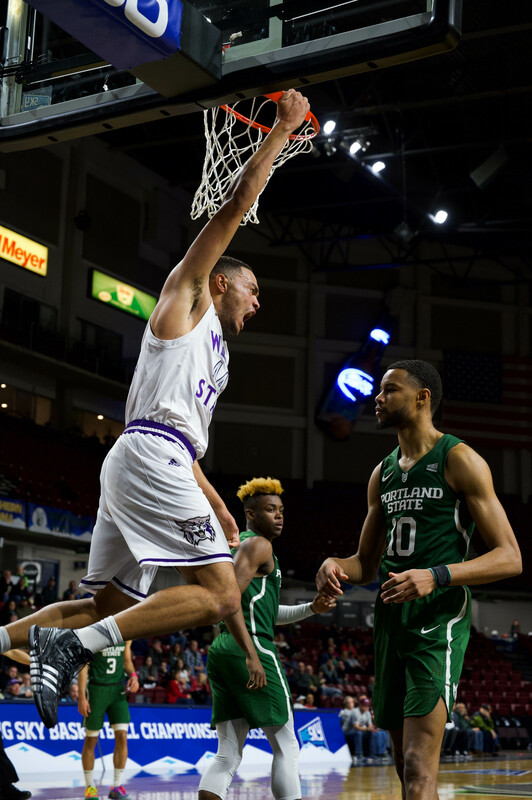 The Weber State University men’s basketball team had a big season-opening win on Friday night, beating Arizona Christian University with a score of 110-52. The win marked the second-largest margin of victory in school history at 58 points. The school record for the largest win was 59 points in a game against Northern New Mexico College last season. WSU got off to a fast start against the ACU Firestorm in the first half. Halfway through the period, the score read 27-7 in favor of the Wildcats. Eight different WSU players were on the board, and the team was shooting 58 percent from the field, opposed to 15 percent from ACU. With seven minutes to play in the first half of the game, nine different Wildcats had contributed to the score. WSU sophomore guard Gelaun Wheelright led the Wildcats with six points, and four team members had four points, with four other players adding three. At the end of the first period of play, WSU had control over the game with a score of 55-23. The Wildcats had a commanding 32-point lead at halftime, led by junior guard/forward Davion Berry with 13 points. Freshman forward Joel Bolomboy had eight points for the Wildcats, and senior forward Frank Otis added seven. 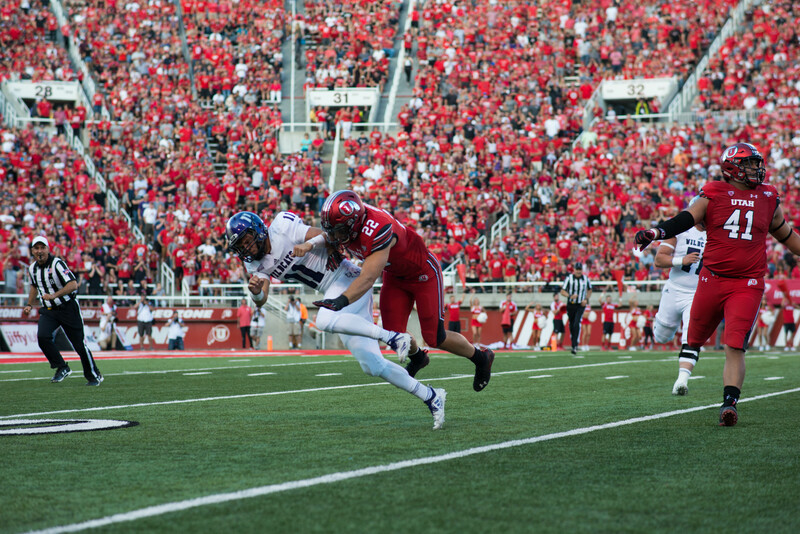 WSU continued with a strong lead in the second half as it widened its margin of victory. By the 10-minute marker of the time period, the Wildcats had accumulated an 85-35 lead over the Firestorm — a margin of 50 points. Five minutes later, the score read 99-42 in favor of WSU. The Wildcats ended the game with a 110-52 win, capped off by an “alley-oop” dunk from Bolomboy with 30 seconds left. Seven different WSU players scored in double-digit figures, and the team posted 28 assists overall. Key contributions came from Wildcat newcomer Berry, who scored 17, and Bolomboy, who went 5-5 in the field, with 16 and 10 rebounds. Junior guard Jordan Richardson added 15 points and seven assists for WSU, senior forward Frank Otis had 13 points and 10 rebounds, and senior guard Scott Bamforth had 12 points and a career-high eight assists. WSU Head Coach Randy Rahe, who is in his seventh season with the Wildcats, said the game was very beneficial despite its apparent lopsided score against a lower-division school. The Wildcats have a different roster and style of play than last season, and Rahe said the game was an important opportunity to give the younger players some experience. The Wildcats entered the game coming off a big 82-56 victory over Western State Colorado University last Monday night for their only exhibition game of the year. The team will now take on a three-game road trip, beginning with San Jose State University on Thursday night.